Even if you can’t get to Italy right now, you can feel transported there with the sights and sounds of a movie on Italy! Here are 10 of our favorite movies set in Italy. (Some are such classics, it’s a travesty not to watch them before you go!). And if you want to brush up on your Italian ahead of your trip, try watching the Italian films in the original language, with English subtitles only. Prefer reading instead? Don’t miss our roundup of our favorite books on Italy! 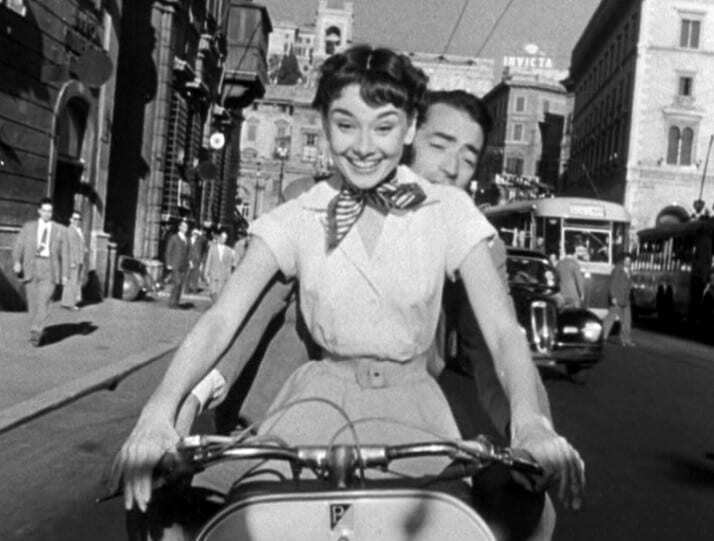 Roman Holiday: Head to Rome in the 1950’s for an adventure with the star studded cast of Audrey Hepburn and Gregory Peck of the acclaimed English language film! The film follows a princess on vacation in Rome who sneaks off to see the city alone and meets a reporter, touring top sights like the Spanish Steps and the Mouth of Truth… and an unforgettable ride on a scooter! Cinema Paradiso: Even after moving (far) away, Italians never forget their roots—especially if they come from a small town. Follow a filmmaker who returns to his hometown in Sicily after many years, discovering the incredible dynamics between the townspeople and remembering his big dreams as a child. The 1988 film received international acclaim; its beautiful, award-winning music was written by Ennio Morricone. It Started in Naples: Set in one of Italy’s most romantic locations, complete with picturesque scenes of the sea, this love story tells a tale of romance between an Italian woman and an American man who travels to Naples to settle his brother’s estate. The 1960 classic stars Clark Gable, Sophia Loren and Vittorio De Sica. Il Postino: If you’re in the mood for romance and stunning views of Sicily and islands off Naples, this is the right film for you! Released in 1994, this is the charming story of a postman who falls in love with a gorgeous woman… and uses poetry to try to win her heart. (Only in Italy!). La Dolce Vita: One of the most acclaimed films in the history of Italian cinema! Released in 1960, Federico Fellini’s film recounts the story of a journalist who is searching for love and “the sweet life” in Rome. We love the classic scenes of the Eternal City, especially the famous swim in the Trevi Fountain. Eat, Pray, Love: Julia Roberts steals the screen with the role of a recently divorced woman who decides to start a new journey and move around the world, starting with three months in Italy. Her passion for the learning the language, meeting the locals and indulging in traditional dishes could inspire anyone to pick up and move to Italy! The story is based off of Elizabeth Gilbert’s 2006 memoir, which is also featured in our favorite books on Italy list. The Tourist: Defined by its director as a “travel romance with thriller elements,” this is a fast-paced and high-excitement tour of Venice… one led by none other than Angelina Jolie and Johnny Dep. It was nominated for a 2010 Golden Globe. Only You: Sometimes when destiny calls, you must follow it—even to Italy! The 1994 feel-good romantic comedy starring Marisa Tomei and Robert Downey Jr. takes you through some of the top sights in Rome, Venice, Tuscany and the Amalfi Coast. A Room With a View: One of the most famous stories to take place in Italy! The 1985 film was based off of E.M. Forster’s novel (also included on our best books on Italy list!) and transports you right back to Florence during the Victorian era, a time filled with with elegance and mystery. Under The Tuscan Sun: When in doubt, head to the Tuscan countryside for a new start (right? Right!). Diane Lane plays a recently divorced woman who buys a villa in Tuscany and takes on the task of rebuilding it into her new home. The actress was nominated for a Golden Globe for her performance in the film, which was based off of Frances Mayes’ 1996 memoir. What’s your favorite movie shot in Italy? Tells us in the comments! My father adored the comedy “Avanti” with Jack Lemmon. I love Avanti!! I think Amacord is fantastic, Cinema Paradiso..wonderful!!! It Started in Naples, La Dolce Vita….. I cannot think of a ‘BAD’ movie on Italy!!! Always #1 for me is “Under the Tuscan Sun”. I read the book too. I really love Letters to Giulette which was made a few years ago and which was beautiful. I highly recommend it. I’m partial to other early ’60s classics such as “Divorce, Italian Style” and “Rome Adventure”! Love the movies, but what Summertime with Katherine Hepburn and Rosanno Brazzi? Or Three Coins in the Fountain? Fellini’s Amarcord, based on his youth in Rimini. The list is also missing My House in Umbria with Maggie Smith, terrific movie. I love my house in Umbria. Great movie! Great list, some I’ve seen and now new ones to watch. I’ll take seeing Italy anyway I can, it’s a place that stays close to your heart once you’ve visited. Great list! Roman Holiday and Under the Tuscan Sun are both outstanding! 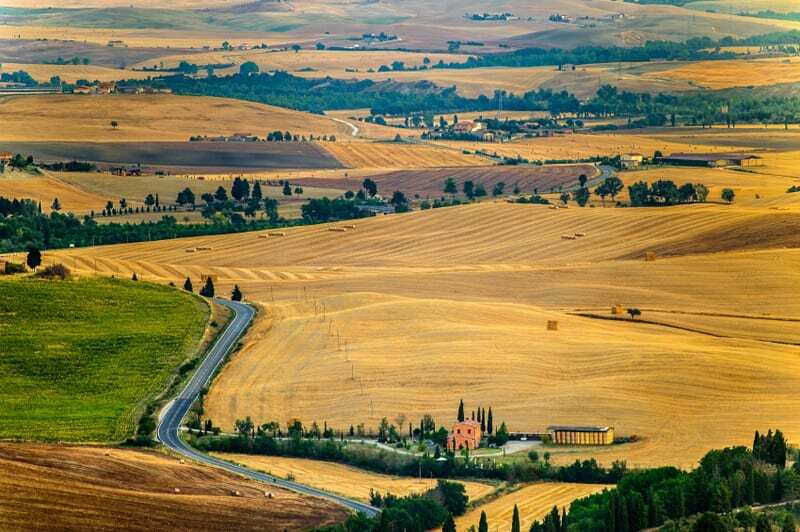 Beautiful shots of Italy especially in Under the Tuscan Sun — and a wonderful story. Letters to Juliet inspired me to travel to tuscany this last summer. Best time of my life! 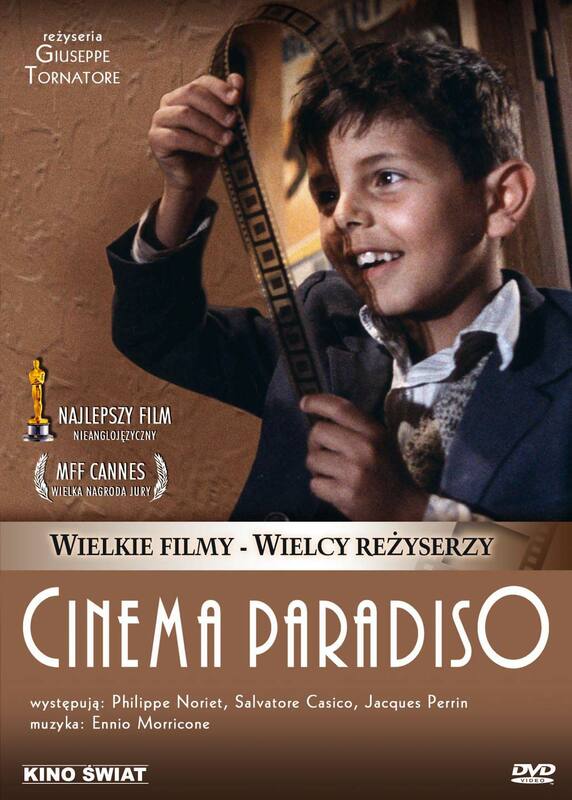 I’m partial to Cinema Paradiso………….my fraternal grandmother was a Paradiso from Sicily. She had several siblings, my great uncles, and great aunts. When they first came to the US they settled in Brooklyn, NY, all residing on the same block and lived there for three generations. I have wonderful memories of growing up in such a close family and great stories from the seniors. One more thing……the name was changed to Paradise when they went through Ellis Island. Letters to Juliet. Full of star power and a romantic story, but Italy is the star of the film. so beautiful! My all time favorite movie shot in Italy is Three Coins in a Fountain!! That boy in Cinema Paradiso is super cool and Fun watching him on the screen. My House in Umbria starring Maggie Smith, Timothy Spall, Ronnie barker, and Chris Cooper supported by an excellent cast. The Talented Mr Ridley. Matt Damon! Cinema Paradiso is my all time favourite Italian film. The ending made me laugh and cry at the same time. I never felt so emotional in any film. A timeless film, to watch over and over again. I bought the film of course.